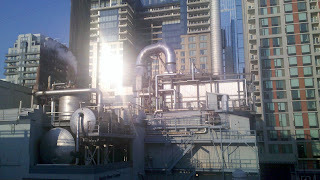 Seattle Steam is a privately-owned utility that provides reliable and sustainable heat to approximately 200 buildings in Seattle's Central Business District and First Hill neighborhoods. 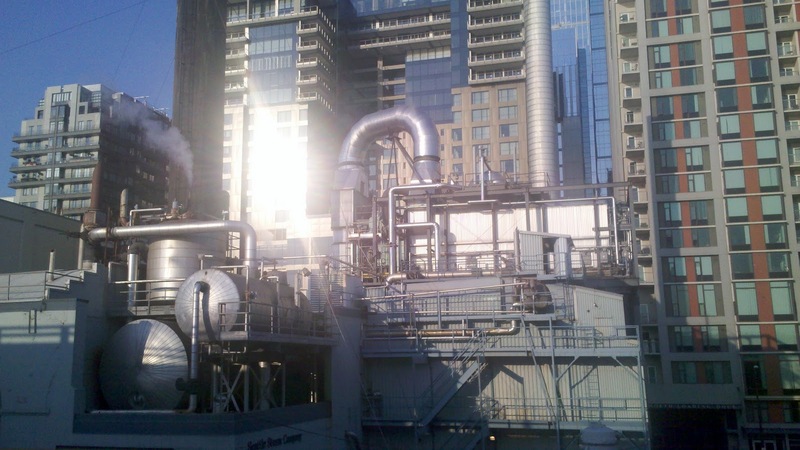 Seattle Steam's mission is to deliver a reliable, cost-effective and efficient source of heat that benefits its customers, the environment and the Seattle community. Seattle Steam's biggest customers are Swedish Medical Center, Harborview Medical Center, and Virginia Mason Medical Center, which use the steam for heat and sterilization. Other big customers include hotels, which use the steam for heat and for generating hot water, Seattle Public Library, which uses it for heat and the Seattle Art Museum, which uses it for heat and humidity control. Their statistics are impressive: 191 customers served 24/7/365. Even more amazing: they've been doing this for more than 100 years. That's a long green record!